When you’re pondering leasing out your commercial property, there is much to consider. Just as every potential commercial real estate tenant has a list of must-haves, every commercial real estate owner should have a (sometimes corresponding) list of must-dos. After all, if you want quality tenants, want to keep them long-term, and you want to turn a profit on your investment, it’s important to lay the groundwork to make that happen. 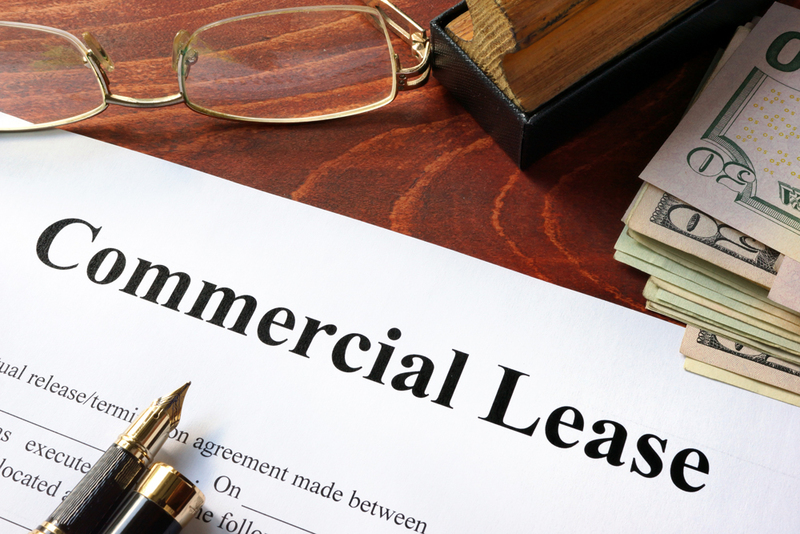 Here’s a look at eight things you should consider before leasing your commercial property. Knowing your tenants’ business is as important as knowing your own…so study up. Get their financial information so you can determine whether they’ll make rent and whether their cash flow will hold up over time. It’s essential to know that the business you are leasing to will be viable in the long-term. Before you lease your property, you need to know what’s possible. Unfortunately, regulations and zoning laws change constantly, so be sure you update the information you have for each tenant interested in your property. If the zoning isn’t a match for the business interested in becoming your tenant, you’ll probably have a mess on your hands, not to mention you’ll have a vacant space and will be back to square one again. Having an appropriate space for your market and targeted tenants is as important as pricing the space right. Underprice it and you lose money. Overprice your space and it will stay on the market for far too long and you’ll lose money. Don’t be afraid to talk with property owners with spaces that are like yours to get some tips. Find out their lease terms—do they cover expenses or do the tenants? How long are the agreements, and what are the tenants showing a preference for? With that information on hand, you can develop rental rates and lease terms that attract the right tenants quickly and over the long haul. Have trusted tax advisors who stay abreast of any changes to the tax codes. This will allow you to adjust for anticipated changes or plan for deductions. Your tax advisors are an invaluable resource for achieving your investment property goals. Depending on the planned use for your property and its condition, chances are you’ll need to invest in some upgrades or purchases. But knowing what to buy in terms of technology and facilities as well as what your dream tenants will expect or need is vital to making the right investments. More, if you are buying equipment, check with experts on the ideal time to buy—there could be tax implications. If your property is stuck in dial-up mode or residing on planet rotary phone, it’s likely time to upgrade. Research the type of tech your potential tenants will be using, and make sure your building is ready to go. High-paying tenants will expect the Wi-Fi and cable to be perfect, so if you can deliver, be sure to promote that feature to prospective tech-loving tenants. When it comes to commercial property leasing, there are a number of issues you have to consider from an asset management perspective, including the success of your tenants, monitoring of lease rollovers, upgrades to facilities and much more. Will you hire an asset manager who can help you navigate these ongoing needs, or will you attempt asset management on your own? It’s important to know whether you’re going to be your own property manager or if you will contract the work to someone else. If doing it yourself, you’ll be responsible for a huge slate of responsibilities, but if contracting it out, you’ll want to think about which of those responsibilities you want the property manager to handle. When it comes to leasing your commercial real estate, there’s much to be excited about, and even more to take under consideration. Use this checklist of eight things to consider before leasing your commercial property, and you’ll get a head start on the process.